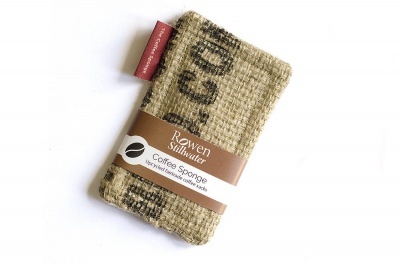 The Coffee Sponge™ is a reusable, sustainable, zero waste kitchen scrubber made from recycled fair trade coffee sacks. Made in the UK Each sponge is handmade from the hardwearing fabric of a coffee sack that has reached the end of its journey. The tough jute top is stitched to a canvas liner and pure cotton back before being filled with a brushed cotton core and finished with a woven label - ready to tackle your kitchen, bathroom or any tough job you need it for. Around 60% of the Coffee Sponges feature a plain hessian top but the remaining 40% have part of the logo or insignia of the company who shipped the coffee. Some of these are colourful, some a stark black imprint, some are permanent over time and some wear away as you wash and use them. Which one will you get? You'll have to unbox it to see! A dish sponge is normally made from plastic which when washed release micro-plastics into our water systems. This sustainable unsponge is made from natural and upcycled material and is environmentally friendly compared to commercial sponges. Simply throw these in the washing machine, and they're ready to go again and again! Use these to wash dishes, counters or even bathrooms! I would recommend a cold rinse prior to a warm wash if stained heavily. At the end of its life, the unsponge can be cut up and composted or recycled with your fabric recycling. 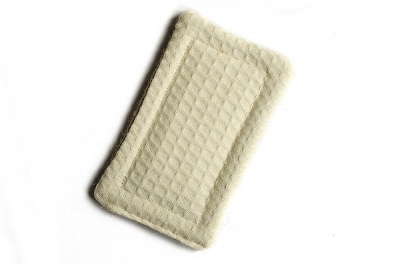 UnSponges are made from 100% plant fibre and are fully compostable after a useful life of 4-5 months.